IP Engineering Group’s vision is to be the most respected provider of technical and business services to the intellectual property marketplace. Our goal is to be the first-choice resource for all solutions related to IP management. The IPEG team came together to help patent owners from a technical and business perspective. Our team is comprised of passionate, experienced experts to help with the complex world of patent management, licensing, and litigation. Cumulatively, IPEG’s core team has more than 150 years of experience in intellectual property matters. IPEG has seasoned PhDs on staff, and a vast network of experts to tap into as needed. IPEG delivers excellence in service to help Engineer IP Value for your business success. The IPEG team brings together world-leading, comprehensive capabilities to help you achieve your business goals with IP. We stand behind our work — and we pride ourselves on being flexible, honorable, and easy to work with. If you don’t see a service that fits your specific need here, please contact us to discuss. Given our extensive capabilities and reach in the IP industry, it’s highly likely that we can help you! No issue is too big or too small. If you have a patent matter, our experts can help you find a solution. 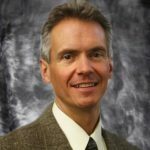 Dr. Copan is an internationally recognized business leader and expert in technology transfer, innovation, strategy and intellectual property. His wide-ranging background includes executive leadership in large and small company settings, venture capital and public sector organizations. At The Lubrizol Corporation, he led R&D, product development and company business units, and also established its highly successful technology transfer, licensing, and venturing businesses. 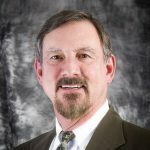 Walt served at the National Renewable Energy Laboratory and at Brookhaven National Laboratory, leading technology commercialization and R&D partnerships. As Executive VP and CTO, he led the growth of Clean Diesel Technologies Inc. to its listing on NASDAQ, and set the foundation for its subsequent merger. He also served as President of an IP services company and led its successful business turnaround. 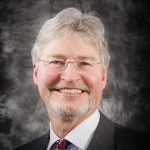 Dr. Copan has recently been appointed as Undersecretary of Commerce for Standards and Technology and Director of the National Institute of Standards and Technology (NIST), headquartered in Gaithersburg, Maryland. As a result of this appointment, Dr. Copan is on an extended leave of absence from IP Engineering Group. IP Engineering Group is extremely proud to have Dr. Copan recognized in this way for his lifetime of contributions to science, technology and intellectual property. Maria has 30 years of experience in high technology marketing, including 20 years specializing in intellectual property and IP transactions. At TAEUS, Maria was responsible for patent transactions (buy and sell). 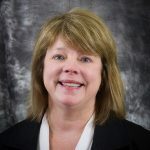 Maria previously served as Marketing/Communications Manager at Simtek Corporation, a Colorado Springs-based semiconductor memory company. She is a Certified Negotiation Expert, has a B.S. in Business Management with a minor in Mathematics from Plymouth State University, and also studied International Business at New England College in Arundel, England. 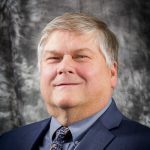 Kurt is a 30-year veteran with experience in the automotive, telecommunication, nanotechnology, semiconductor devices, advanced materials, biotech, and intellectual property services industries. He has worked with leading global high-tech companies and many IP law firms , and has served as a testifying expert in patent litigation cases. Kurt brings a unique set of skills in the area of intellectual asset, patent, and technical services evaluation to IPEG. He has a BS and MS in Ceramic Engineering from the University of Missouri-Rolla. Rick has over 25 years of experience driving marketing, business development, and project management strategies for the intellectual property and high technology industries. His expertise is in market assessment, strategic account planning and sales channel development. He has held management positions at Harris, Honeywell, Signal Processing Technologies, EM Microelectronic and TAEUS. 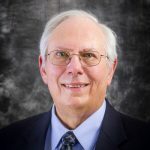 Rick has extensive engineering experience driving new product developments, hardware and software reverse engineering, patent portfolio analysis and patent evaluation in consumer electronics, mobile devices, automotive, semiconductor, software, and telecommunication systems markets. Rick has a BS in electrical engineering from the University of New Mexico and an MBA from the Florida Institute of Technology. Hiro specializes in international high technology business, assisting corporate executives and counsel on strategy matters. 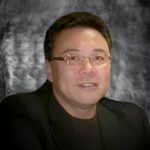 Hiro has functioned as an advisor on management strategy formulation and implementation on R&D, technology commercialization and technology transfer works including licensing, patent acquisitions and sales, and IP litigation matters. Hiro has substantial experience in analyzing damages in intellectual property litigation, breach of contract and other commercial disputes internationally. He has worked for major international consulting firms such as PWC (Coopers & Lybrand), KPMG Peat Marwick, LECG, Navigant, Peterson Consulting. Hiro has an MBA and MS in Electrical Engineering from Northwestern University, a BS in Electronics Engineering from Tokyo University. Jeff has more than 35 years of experience in the telecom, software and high technology space. His expertise is in product planning, management & development; enterprise application architecture; and business consulting. Jeff provides strategic & tactical planning, from business formation to product definition and organizational alignment. We are a full-service provider of intellectual property solutions. Our mission is to provide those services that allow our clients achieve the full technical and economic potential of their intellectual property. We serve our clients by providing the information and resources necessary to realize the value of their intellectual assets. We strive to positively impact the local and global community through professionalism and active participation. Each member of the IPEG team provides a unique skill-set and perspective that contributes to the current and future success of the company. IPEG employees and representatives support sales growth by building strong customer relationships, demonstrating a total focus on customer service, and by providing customized, timely and valued delivery of the highest quality work product in the IP industry. IPEG is committed to open, honest, ethical, and professional conduct with clients, vendors, and colleagues. All IPEG team members are responsible for the quality of work provided by each individual and the team. IPEG will always treat all clients, suppliers and team members with respect. IPEG focuses on clear, open communication with our clients, vendors and colleagues. IPEG believes in providing creative solutions to maximize the value provided to our clients. All IPEG team members collaborate and support one another for the success of our company, of each contributor, and of our customers.